I had not heard about Green Bean until I attended the Baby and Toddler show a few weeks ago and met them at the stall. I was really impressed to see their stall and hear all about The Green Bean Collection and how educational it is. As you know I am all about making learning fun and I thought that what I saw at the green bean stall was exactly this. After the Baby and Toddler show I got in contact with Green Bean and they agreed to send me some of their collection to review and tell you all about. So a little more about Green Bean. Green Bean is a character who is brought to life through toys and books. He is a fun, friendly, educational character that is all about encouraging children to learn. 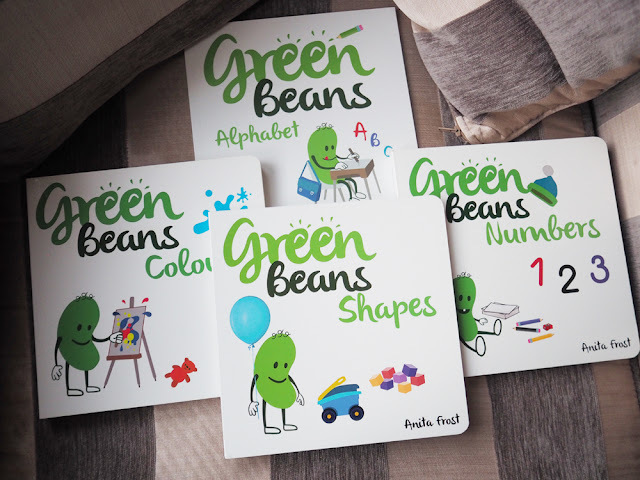 The character started as company logo for a nursery called "Green Bean" which was a nursery that had a focus on all things green, including nutrition. 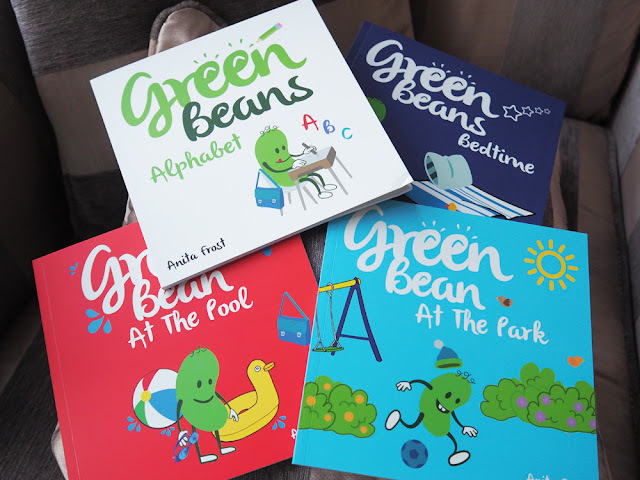 From that Anita Frost introduced the character of Green Bean in educational books and made a very cute toy of Green Bean himself and made a collection of educational resources that were perfect to encourage children to learn. I was sent a selection of items to review from the collection. and a Our Beans Eat Green Book. 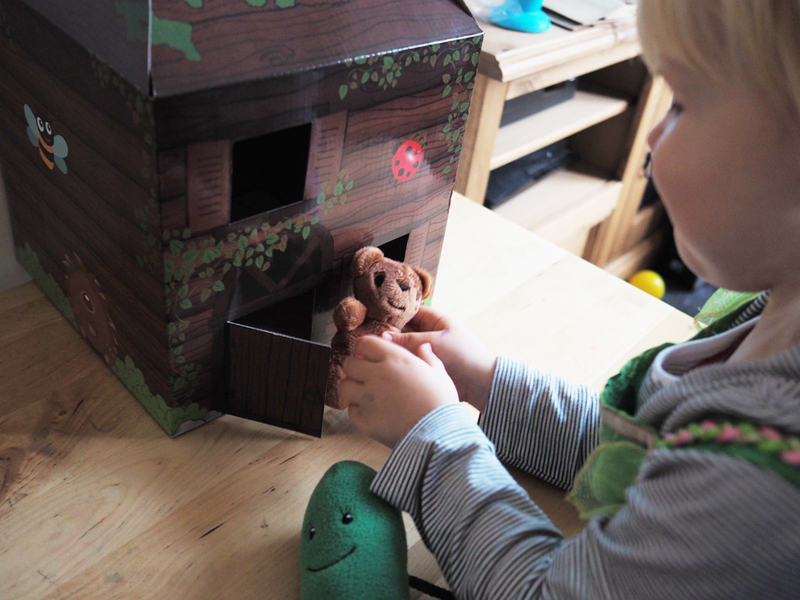 The first thing that Lily wanted to look at was the house with the green bean toy and bear. She loved playing with this and gave green bean a big hug as soon as she saw him. I think she recognised him from when she met him at the Baby and Toddler show which shows they have made a very loveable character. Lily played with this for quite a while and talked away as she moved the toys in and out of the house. The house is made from cardboard and also acts as a storage box which is great for when you have finished playing. Although I haven't been using it for that and just letting Lily play with it. Its so nicely designed and does look like a real house and the door opens and closes. Its great for the imagination. The green bean toy is such a happy little bean. Lovely and soft and it just shows that a character does not need to be over the top to be loved. I really love the simplicity to him and the fact that he represents something good. The little bear is adorable and really soft. Lily also loved giving this hugs. After Lily had played with the set for quite some time, I introduced her to the books. The first set of books are all hard board and are more early education topics than stories. You have colours, shapes and numbers. The colour book is great, very simple and so easy to start to recognise the colours. The book shows the colour inside a paint pot and then a splodge of paint on the next page. 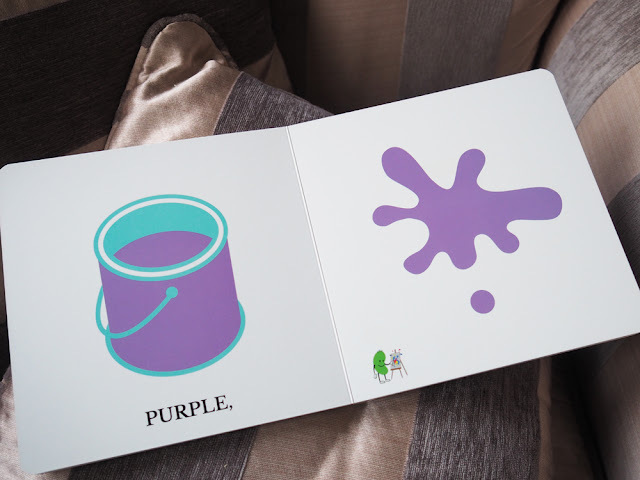 Lily has already learn't all her colours but this book is great for babies upwards and the next thing I would use this book for is to learn the word of the colour. The number book I love. On each page it has the number and the word for the number under it. I't then has a pictures next to it that correspond to the number. For example for 2 it has 2 balls. Lily is really good at counting but still hasn't learnt to recognise her numbers so the simplicity of this book will really help. Then last but not least there is the shapes book. This shows the shape with the word on one page and then on the next it has a picture of something that is the same shape. For example for circle is the moon. Lily knows all the shapes already that are in this book so the next step for her will be learning about what things are that shape and also recognising the word when she starts to learn to read. I do keep mentioning simplicity, but that is such a great thing as you really don't want to over load a child when learning and so in this case less is more. The alphabet book is a paper back book. Which i'm guessing is because there are so many letters in the alphabet and that would be a pretty thick book if it was hardboard. This book is great and really going to help Lily with her alphabet. It has a letter on each page and then a picture of something that starts with that letter. Under the picture it also has the word. The alphabet is what we are going to be learning next and I think being able to link the letters to the picture is really going to help her learn the alphabet. One last thing to mention about these books is that green bean is in the corner of each one. I like him there as almost as he is a little support symbol, reminding the children then are learning WITH green bean. After this we took a look at the story books. Lily loves books and to begin with I let her have a good look through a book on her own and later that night she asked for them to be read to her. These stories also keep with the simplistic feeling of the whole green bean collection which I love. 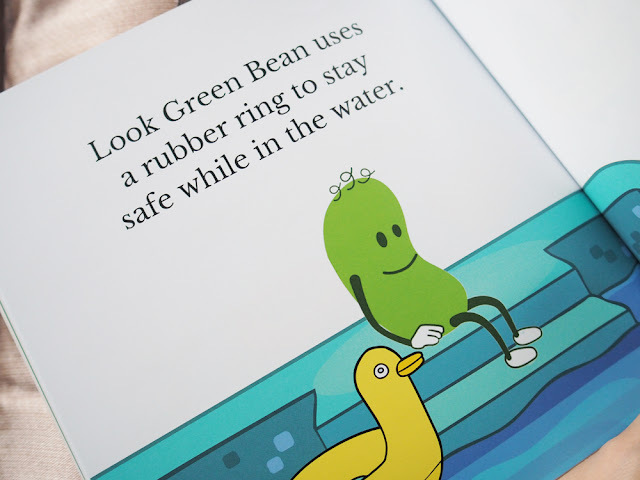 The stories are not over complicated and simply feature green bean doing every day things like going to the park or going swimming. A lot of adults may think that simple stories are boring. (In fact my partner said this) but children are actually really interested in hearing about things that may seem every day to us. Like going to the park, and to them, it's an adventure. Lily really enjoyed listening to these stories and also telling me about the things she saw in the illustrations. In the books you have one page of writing and then one page with the illustration which is great as it really allows children to notice the words as well as the pictures. During the story as well it has parts where it talks about different objects and puts the words next to the objects. This really helps with word recognition for when your child starts to read. 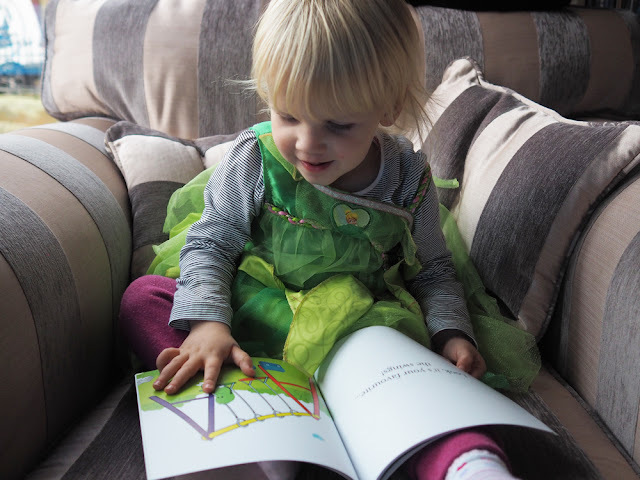 The books are great to read to your child or for them when they are starting to learn to read. After this we opened up the little activity pack which had some lovely little stickers and some colouring for Lily to do. 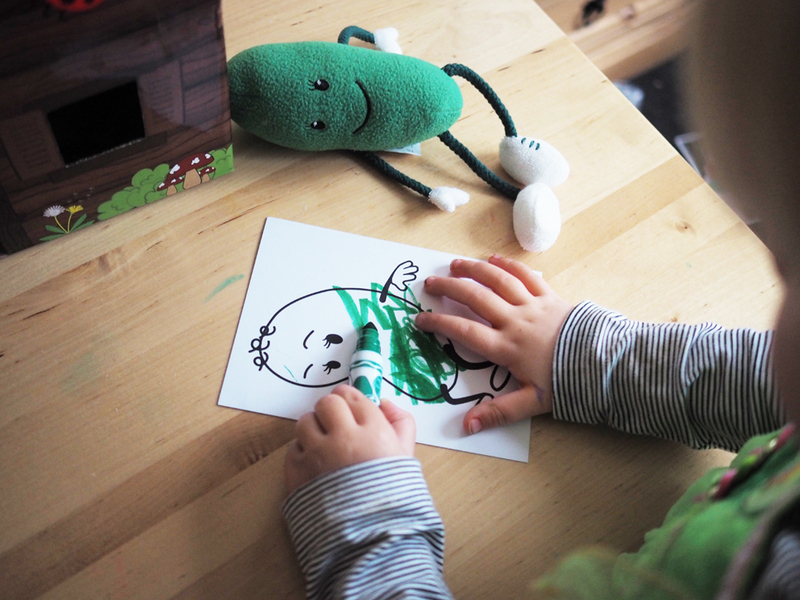 She was delighted to get to colour in green bean. Lily really enjoyed everything about the green bean collection and I can see us using this all quite often for learning. The books are all £4.99 each to buy and can be bought on the Green Bean Website. 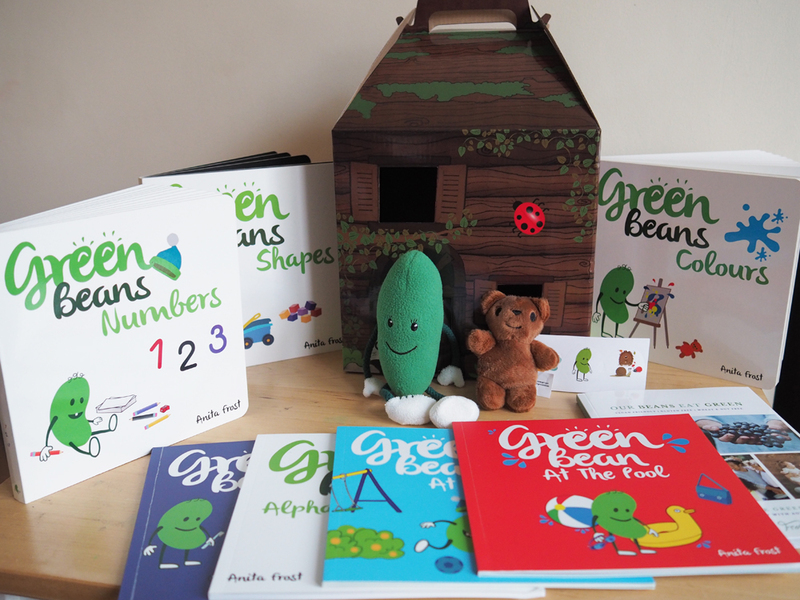 You can also buy Green Been himself and the bear for £12.99, and the story box is an extra £3.99. Or you can buy it all in one big pack for £49.99. One more thing was added to the selection I was sent and that was a book by Claudine green written with Anita Frost. 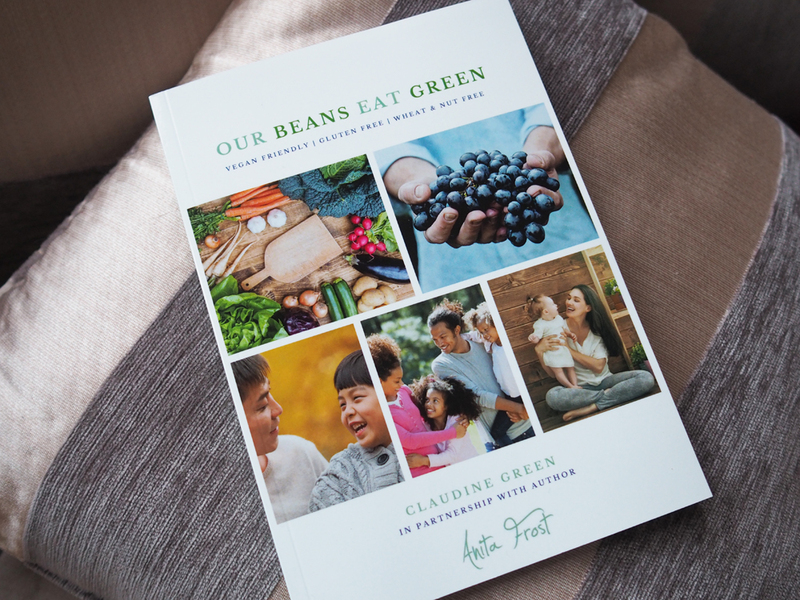 The book is called Our Beans Eat Green and is full of healthy organic recipes. It has recipes inside that are vegan friendly, Gluten Free and wheat and nut free. I haven't had the chance to make any thing from it yet but this book is great if you want to start to make foods that are a little bit more nutritious. The book is £11.99 and can be bought from the Green Bean Nursery Webpage. 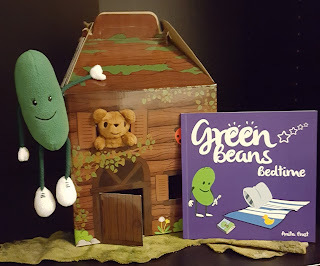 The Story Box, Green Bean, The Bear, and a Bed Time Book. Enter on the Gleam app for your chance to win. Green Beans are great for my special needs students especially the alphabet one. Green bean bedtime would be my favourite as we love reading bedtime stories. Green Bean at the Park. Green Beans Bedtime looks good! My daughter would love these! Especially Green Bean at the Park. I like the Alphabet one as my daughter is just getting interested in letters. I like the sound of the alphabet book as it is never too soon to start learning. These look so good. My favourite is the Green Beans Bedtime. Great beans at the park sounds great. My daughter loves the outdoor. Green bean alphabet to help my youngest learn his letters. Green Bean Bedtime looks fab! Green Beans Bedtime as my niece loves a book at bedtime. I like the sound of the Green Bean Bedtime book. Has to be the alphabet as that would be a fun way to learn the alphabet too. Green Bean at the Park sounds fun! GREEN BEAN AT THE PARK looks good fun and we live near a park too. So my great-nieces and great-nephew will enjoy that. Lovely prize though. My little niece loves parks, so I think she would really enjoy the 'At the Park' storybook.